Uniformed systems: These devices allow for power and control to be built into one unit, which drastically simplifies design. The uniformity also streamlines operations and maintenance of equipment. This is done because there is a reduced number of skills and techniques. Uniformed Hardware: uniformity is important for pneumatics. The hardware houses cylinders, and they are able to integrate with pneumatic sensor better than electronic ones. This benefit is evident in wet environments. Operating in wet environments: Electricity and water do not go well together. When the two mix people get injured and property gets damaged. Pneumatic devices work trouble-free in any wet environment. Operating in explosive environments: It is possible to purchase explosion-proof electrical devices, but pneumatic devices are better options. Explosion-proof electronics are more difficult to use and they are also more expensive. Safest on the market: These devices do not shock when wires are exposed or cut. Although this is uncommon, damaged wires still happens (when it does it can be catastrophic). 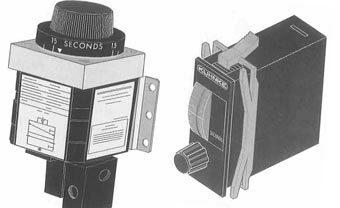 Long life span: pneumatic timers and other pneumatic devices have the simplest process when it comes to actuation. The simplicity leads to less moving parts. This means that the devices go through less ware and tare. This increases the life expectancy. Just because there are many benefits of using pneumatic devices that doesn't mean it is always the best option. Reaching out to professionals is the only way to full understand the best systems and devices for you and your company.